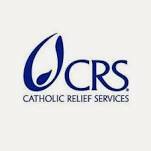 Catholic Relief Services was founded in 1943 by the Catholic Bishops of the United States to serve World War II survivors in Europe. Since then, we have expanded in size to reach more than 100 million people in 101 countries on five continents. As a part of the Universal Church, we work with local Catholic institutions around the world. As a Catholic agency that provides assistance to people in need in 101 countries without regard to race, religion or nationality, we also participate in humanitarian initiatives undertaken by a range of groups, including governments, other faith communities and secular institutions. Although some positions and practices of these institutions are not always consistent with the full range of Catholic teaching, CRS' work with these institutions always focuses only on activities that are fully consistent with Catholic teachings.